This week’s list of data news highlights covers November 10 – 16, 2018, and includes articles about an AI system that can play Pong better than humans and a new method for making high-resolution forecasts. Asset management firm AllianceBernstein has developed a virtual assistant called Abbie that suggests which bonds to buy and sell, helping the firm identify opportunities its human employees missed. Abbie analyzes millions of data points on outstanding bonds, such as bond ratings and companies’ capital structures, and makes suggestions based on factors such as pricing and risk. Swiss Federal Institute of Technology researchers have developed a weather forecasting model that can produce accurate forecasts for areas as small as 500 square meters. The researchers combined data from rain gauges, radar, and other weather monitoring technology located around Zurich, Switzerland, to create the model, which predicts accurate forecasts up to 30 minutes into the future. More precise targeted forecasts could help cities better manage sewage systems in preparation for flooding. Engineers from NASA’s Jet Propulsion Laboratory and software company Autodesk used AI software to develop the design of a new interplanetary lander. The engineers input variables such as the temperatures and forces the lander would encounter in space, and the AI software suggested designs that could handle such conditions while also meeting NASA’s goal of decreasing the weight of landers. Though this particular lander will not be used, it demonstrates the utility of AI for specialized industrial design, as it helped decrease the weight of the lander by 35 percent compared to NASA’s baseline designs. The United States has taken the top two spots on the list of the world’s fastest supercomputers with the launch of two new machines, Summit and Sierra. The fastest machine, Summit, can process 200,000 trillion calculations per second and has helped researchers at the U.S. Department of Energy’s Oak Ridge National Laboratory perform tasks such as modeling the nuclear burning that takes place in a supernova. While five of the top ten machines are now from U.S. companies, China has 227 supercomputers ranked in the top 500, while the United States has just 109 in total. Eko, a cardiac monitoring company, has developed an algorithm that outperformed most cardiologists in a clinical trial at detecting heart murmurs. Eko trained the neural network algorithm on thousands of heart sound recordings and then tested its performance on a dataset of pediatric heart sounds and compared its performance in detecting murmurs to cardiologists. Eko hopes to combine its AI with with digital stethoscopes to shrink the skills gap at detecting murmurs between expert radiologists and other clinicians. Facebook announced it has removed 99 percent of content that demonstrates support for ISIS or Al-Qaeda over the past three quarters by using AI tools. Facebook’s newest tool uses machine learning to score content based on how likely it is to violate Facebook’s counterterrorism policies, automatically removing content with the highest scores and referring the rest for human review. This approach has helped Facebook remove over 12 million pieces of terrorist content over the past six months and to remove content in less than two minutes, on average, after a user posts it. Darktrace, a U.K. cybersecurity firm, has developed a tool that uses machine learning to stop hackers from performing malicious actions, such as copying data, after they have breached a system. The tool feeds data about a client’s network to 60 unsupervised learning algorithms, and each algorithm tries to find anomalous behavior. A master algorithm then determines which threats are credible and alerts humans so they can respond. 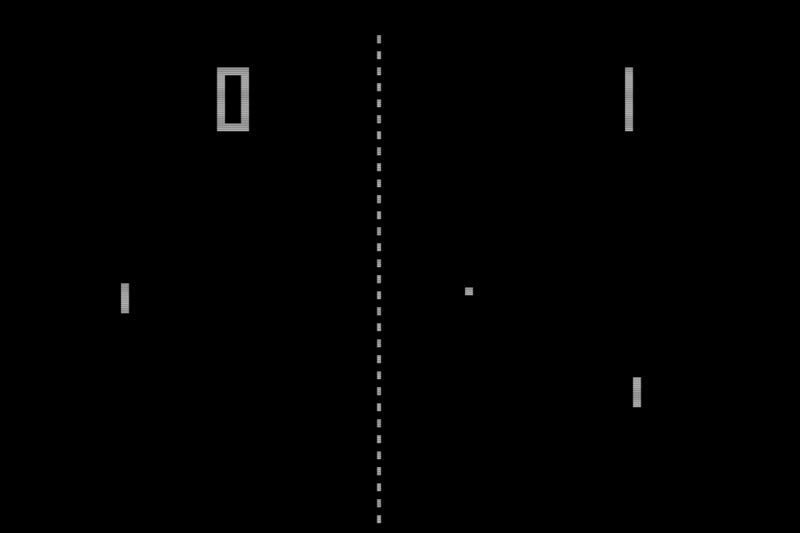 Researchers at OpenAI and DeepMind have developed an AI system capable of superhuman performance in the Atari games Pong and Enduro, and perform above baseline in seven others. The system learns by observing humans play the games and attempting to imitate human performance while being rewarded simultaneously for improving on this performance, such as by scoring more points, allowing it to learn to play the games better than humans can. The system outperforms humans in the games Pong and Enduro, and performed better than other AI systems trained to play using simpler methods in others, including Breakout and Q*bert. Massachusetts Institute of Technology researchers have developed a methodology for detecting and reducing bias in AI models without sacrificing model accuracy. Traditional methods for reducing bias often involve using randomized datasets about a majority population to resolve non-representative results for smaller populations, however this can also mean making models less accurate overall. The researchers approach entails analyzing AI models for model bias, model variance, and outcome noise before subjecting a model to fairness criteria, which can help identify the best method for improving the fairness of a model, likely involving better targeted data collection, rather than just reducing the model’s accuracy. A startup called Nebula Genomics has launched a service offering to sequence customers’ genomes at no or reduced cost in exchange for customers agreeing to share their data for medical research. Customers have the option of having their genome sequenced using basic techniques for $99, or, depending on how much data about their health history and behaviors they are willing to share, getting their genome sequenced for free. Then, if pharmaceutical researchers working with Nebula believe a customer’s genome is useful to their research, they can pay for a more detailed sequencing for a customer, who then gets to access that data. Nebula uses blockchain technology to track each customers data and allow customers to control the permissions for who can access it.